Nancy Pearl may just be a natural-born writer, though she is best known for her role as bookseller, librarian, interviewer, reviewer, and motivational speaker on the pleasure and importance of reading. In a DIY MFA podcast interview with Gabriela Pereira in September 2017, she tells us that she was merely an instrument for the characters she channels in her debut novel. Her characters feel real to us as well. Pearl reminds us that reading outside our comfort zone can be a fruitful experience, and her debut novel challenged me—hard—in its first pages. She introduces a self-destructive character so hard to love that we draw back, judging that character without understanding. I had to put the book aside, perplexed, wondering why Pearl would risk her hard-won reputation with such an unsavory character. Months later, I was still curious when I picked up the book again. I read it through nonstop and loved what she was able to do. In the interview linked to above, Pearl discusses the importance of mood when reading. My second look at this novel is testament to her notion that mood matters with our acceptance of certain ideas. After I had already internalized the behaviors of her difficult character, I allowed Pearl’s writing to guide me. Her writing is so skilled it is almost invisible, though there were several times during this reading when I pulled out of the novel and shook my head in awe at her fluency and execution. This novel is character-driven. Lizzie does something truly objectionable her last year in high school, designed to hurt herself, her parents, her friends, her ‘victims,’ indeed, everyone who learns of her behavior. Her need for love is so desperate that she denies it, derides it, disguises it. Her parents were difficult academics, and were probably completely to blame for their daughter’s alienation, but blame is not a worthwhile game to play. One still has to grow up, whatever hand one is dealt, and Lizzie had a hard time of it. 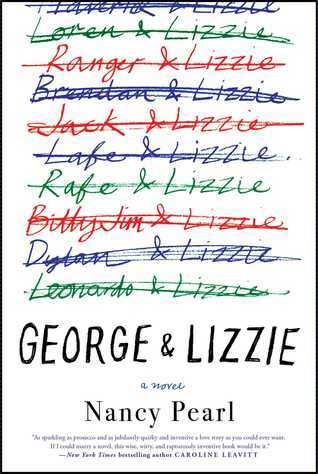 Later, her husband George would tell her in exasperation that she “had the emotional maturity of a three-year-old.” This story, then, is Lizzie's emotional journey, through school, boyfriends, and marriage, all the while holding onto her rage and disappointment from childhood. Many of us do this; we never really mature. Lizzie was blessed that the man she married was an even-tempered adult who loved her, and she had close friends who loved her as well. When one is loved, one generally tries not to disappoint those people, lest they turn their love away. We watch as Lizzie learns what that means—what it means to grow up. I ended up putting everything else aside while I read this in a huge gulp, over two days, riveted to the unfolding story. 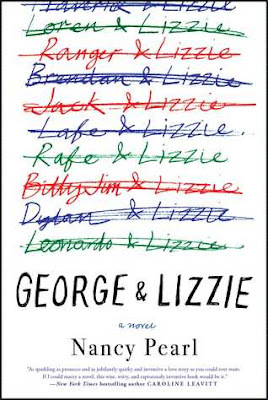 I really appreciate what Pearl did with the character of George, who would be a grace note in anyone’s life, including readers’, because he seems to understand the really big lesson all of us must learn to get any measure of happiness and satisfaction from life. One can’t have all one wants in terms of love, jobs, recognition, or pay, so how can one be happy? The way one deals with failure will determine one’s future. It’s not the failure that’s important. It’s what comes after that. His lessons feel like gifts. Poetry plays a key role in this novel, to describe a person’s conclusion, or to underline an observation. The poem at the beginning of this novel by Terence Winch, “The Bells are Ringing for Me and Chagall,” in retrospect gives the reader a very good idea of the direction of this novel, though one cannot see that at the start. The poem at the end is a paean to a long-lasting well-maintained relationship which may sustain one in times of terrible crushing sorrow. We may think we want fast and flashy cars, but reliability may save us. There is a lot of lived experience in this novel. Pearl is in her seventies now, having done it all when it comes to literature, and now she has written a novel herself. What a brave act. Writing a novel is difficult when one is unknown. It must be terrifying to put something out there when one is well known. All that reading stood her in good stead, however. Her writing is gorgeous, clear and propulsive, and the tricks she uses to ensnare our interest—lots of conversation, poetry, lists, word games, memories—work beautifully. I especially liked the unique structure of this novel. There are no chapters per se, but short sections that suit a remembered story. The sections have titles, in which she tells us what comes next. And what comes next, I hope, is another novel in which lifetime lessons are revealed. Thank you Nancy Pearl.